And these damn zombies everywhere you turn! Already killed so many of ‘em but they just keep on coming. Only good zombie is a dead zombie. Good thing there’s plenty of guns around. The ZOMBIE INFESTATION in the city is seriously getting in the way of your down time. Take back your city and reclaim what is yours! Scour the streets for salvage to get BIGGER AND BADDER GUNS, explosives, and other zombie-killing weapons. 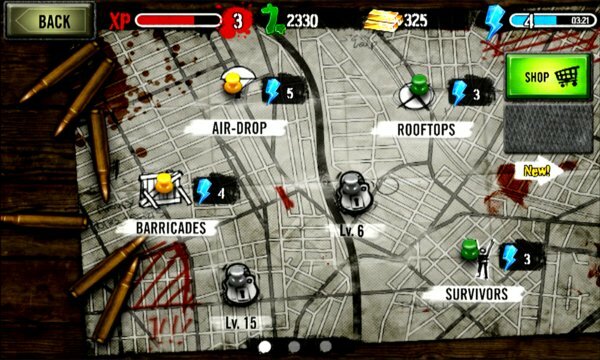 RESCUE SURVIVORS from the zombie horde and airlift them to safety for BONUS REWARDS. Then catch a breath in your ZOMBIE HQ. Deck out your ultimate man-cave with pool tables, hot tubs, TVs, turntables, plants and more! ➤ WEAPONS including shotguns, assault rifles, sniper rifles, machine guns, flamethrowers, chainsaws, broadswords and more! ➤ Tons of character APPAREL, including centurion body armor, hockey masks, beer hats and more! ➤ Loads of FURNITURE for your Zombie HQ, including arcade machines, jukeboxes, pool tables, hot tubs, turntables and even guided missile systems! ➤ Zombie KILLING action and tons of MISSIONS to choose from, including scavenger, food drop, boss battle and more! 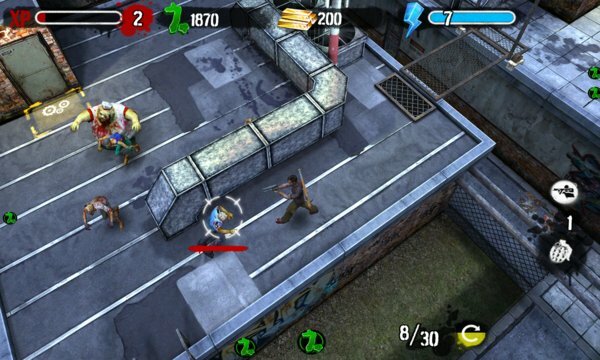 Zombie HQ is free to play, but you can choose to pay real money for some extra items. You can disable in-app purchasing by adjusting your device settings. Note: Your saved progress and all currency will be lost if you uninstall the game from your device.